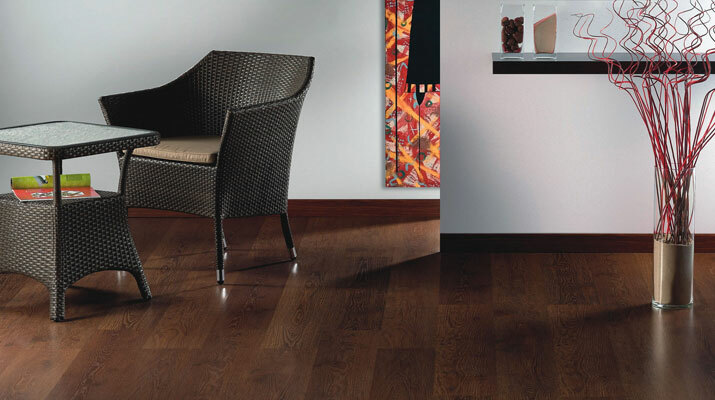 Our hard wearing, easy to install floors are extremely durable, very practical and easy to maintain, yet offer the attractive appearance of real wood. These floors are made from the highest quality High Density Fibreboard (HDF), guaranteeing the integrity of the product. They are finished with a decorative wood grain foil beneath a transparent but hard wearing melamine surface. All coatings comply with the AC3 (domestic) rating, and some carry the highest AC5 commercial rating on the market, so they’ll look fantastic for years. They incorporate a patented glueless joint system so they can be laid and relaid many times with ease and confidence. They also come with a 25 year guarantee. A superb range of authentic wood styles to suit your taste and budget. Our standard Clip 40 version has an embossed grain pattern on the surface with seamless joints to give a smooth surface which is easy to maintain. In addition some variations come with a Wood Aspect surface, where the board is embossed identically with the printed grain pattern. It’s so authentic it’s hard to distinguish from real wood. To add the final touch the plank floors have micro-bevelled edges along either of the 2 long edges (Vista 2) or all 4 edges (Vista 4) to create the traditional long plank effect.